L Glutamine Weight Loss: Can Glutamine Help You Lose Weight? 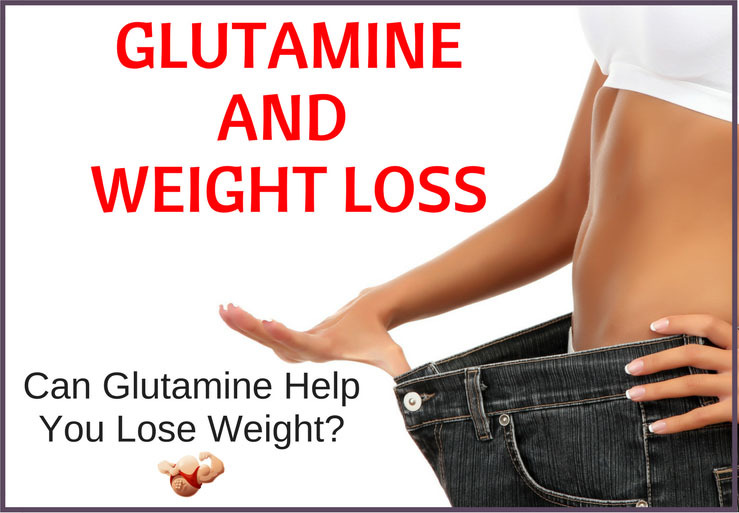 Home » Nutrition » Can Glutamine Really Help You Lose Weight? Can Glutamine Really Help You Lose Weight? Glutamine is an amino acid found naturally within the body. Amino acids have a vital role in muscles and tissue as they support cell structure, aid organ function and transport nutrients in the blood stream. Glutamine has many uses, including helping to boost the immune system, aid muscle recovery after exercise and losing weight. So, what is the correlation between glutamine and weight loss and how is this amino acid effective in controlling body fat? Glutamine is the most abundant amino acid in the body. You may have heard of L-Glutamine, which is essentially referring to the same amino acid. Glutamine is essential when the body is suffering from an injury or ill health as levels can drop which can lead to health concerns, such as poor immunity, fatigue and longer recovery time after strenuous workouts. Glutamine is naturally found in dietary protein as well as health supplements and the human body. Many people consume extra glutamine in order to improve weigh﻿﻿t﻿﻿ lo﻿﻿s﻿﻿s. So, how does glutamine work to encourage loss of weight? 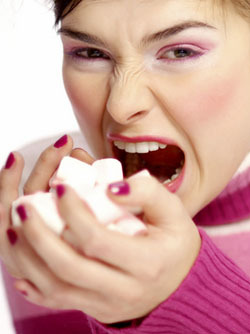 Those with sugar cravings can suppress their quench for the sweet stuff by consuming glutamine. When our blood sugar is low, glutamine can easily be converted into glucose to help stabilize blood sugar levels. This fast conversion may be the reason why many people have reported that glutamine supplements reduce their cravings quickly. Furthermore, those eating a diet rich in protein may find they have less cravings due to their increased protein intake. As glutamine goes through a process called gluconeogenesis to convert to sugar for energy, this may also partly explain why it can decrease cravings for alcohol as well as sugar. However, there may be other reasons as to why glutamine can curb alcohol cravings. Glutamine can improve your mood by boosting energy within the body. Glutamine supplies energy to cells within the intestine and immune system, helping to prevent cells from becoming sluggish. This amino acid also helps to detoxify the liver to reduce ammonia levels, thus, promoting a better night’s sleep as too much ammonia in the brain can lead to sleepless nights. An improvement in sleep and energy levels is thought to improve mood and studies have demonstrated that glutamine supplementation can improve mood. While there is no conclusive link between depression and alcohol, the National Institute on Alcohol Abuse and Alcoholism suggest that around one third of people suffering from depression also have an alcohol addiction. Therefore, an improvement in mood may decrease cravings for alcohol. Glutamine has been linked to a loss of body fat. A 2014 study published in the European Journal of Clinical Nutrition demonstrated that obese women who consumed glutamine supplements for four weeks (with no other changes in diet or exercise) lost weight. In contrast, using a protein supplement for four weeks displayed no alteration in weight. More conclusive research needs to be conducted to investigate the direct link between glutamine and weight loss. However, glutamine can be converted in the liver to glucose for energy, bypassing insulin induced fat storage. This could explain why it helps to regulate body weight. Several factors can be determined when contemplating weight loss and glutamine supplementation. Those starting a weight loss programme should ideally eat a balanced diet and use an exercise plan when supplementing with glutamine to receive optimal effects. Glutamine plays a significant role in fitness. After a workout, lactic acid builds up in the muscle, resulting in feeling sore and tender. Glutamine counteracts this build-up to aid recovery time between workouts, meaning you can exercise more without having to worry about resting for long periods. Furthermore, glutamine is an amino acid that promotes cell hydration. Hydrated cells lead to anabolism; a process which promotes muscle growth. Those who partake in bodybuilding or want to exercise while maintaining muscle mass and decreasing body fat would find glutamine supplementation beneficial. A combination of maintaining muscle, aiding recovery time between exercise sessions and a quick conversion of glutamine into glucose may explain why this amino acid has a positive effect on losing body fat. Those following a high protein diet, naturally rich in glutamine may find weight loss benefits. Consuming high protein foods that are low in calories and fat may contribute to feeling fuller while losing weight, unlike a normal protein diet, according to the American Journal of Clinical Nutrition. Glutamine promotes the release of GLP-1 (glucagonlike-peptide-1). 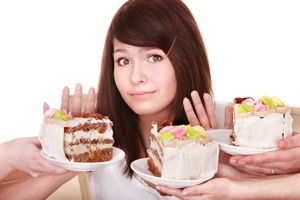 GLP-1 helps to suppress the appetite by promoting insulin release. While insulin prevents the breakdown of protein, it also switches off appetite signals in the brain. Those on a low carbohydrate diet will benefit from glutamine as it promotes insulin sensitivity when storage of glutamine levels are low. 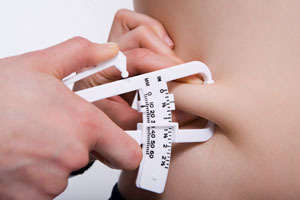 As insulin promotes synthesis of body fat, less insulin leads to a higher reduction of body fat. Thus, glutamine moderates the release of insulin so that less insulin is used to process carbohydrates. Glutamine has many indirect effects on weight loss. If you’re planning on consuming a low carbohydrate, high protein diet or participating in intense exercise sessions to lose weight, supplementing your daily routine with glutamine supplements is likely to be highly beneficial. 1. Stehle P, Zander J, Mertes N, Albers S, Puchstein C, Lawin P, Furst P (1989) Effect of parenteral glutamine peptide supplements on muscle glutamine loss and nitrogen balance after major surgery. Lancet. 2. 1997-2003 by Quest For Anabolic Conditioning (QFAC) Bodybuilding.